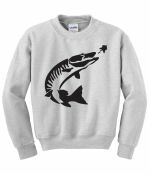 Crew neck sweatshirts heat pressed with Freshwater Fish designs. 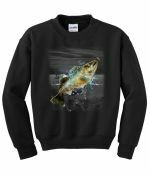 These sweatshirts are high quality 50/50 cotton/poly blend shirts custom heat pressed with great art images. 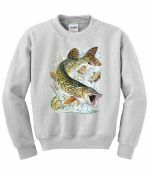 Choose from many different Freshwater Fish Designs, including Trout, Bass, Walleye, Northern Pike, Muskie, Catfish and many more. 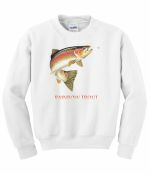 Available in color and size choices, including extended sizes in some sweatshirts as special order. 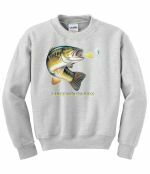 Browse these categories under "Freshwater Fish Sweatshirts"